Here I am, looking out over our creek, which had ice on it this morning… now it’s pushing 60 degrees. In the beginning of January. Is this global warming? Life in the South? Random environmental fluctuations? And how should I know? This place is now “home” to us… we needed a home, we’d prayed for a home… and this is what we got. We have another home town: Kyiv, Ukraine (pronounced KEEV; KEY-YEV is Russian, not Ukrainian). 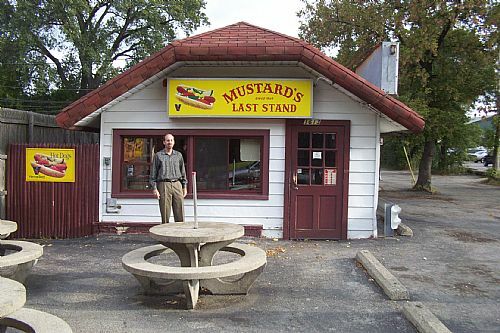 We have actually lived longer there than we’ve lived in any other single town. Our youngest daughter Marina essentially grew up there, learning to speak Russian and English simultaneously. Having attended Ukrainian public schools, she still has occasional struggles with math – they do it differently in Ukraine – who would’ve known there are a diversity of ways of doing math? I grew up thinking that it was one of the few basic, objective realities out there! 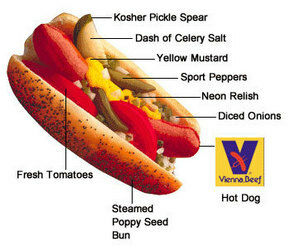 I grew up in northern Illinois: And there is STILL nothing like a real Chicago-style hot dog (sport peppers and celery salt are NOT optional!) 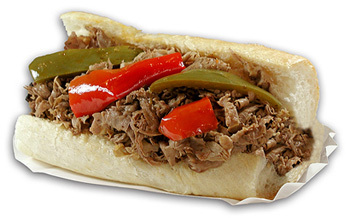 or an Al’s Hot Italian Beef. We also raised our eldest three kids on the Jersey Shore… before they made a TV show out of it (which, by the way, I’ve never seen. Isn’t “reality TV” some sort of oxymoron?) So a part of my heart washed out to sea when Sandy messed up or swept away parts of my kids’ youth: The pavilion in Belmar where my kids took art lessons and my daughter celebrated her wedding vows, the coaster at Seaside. 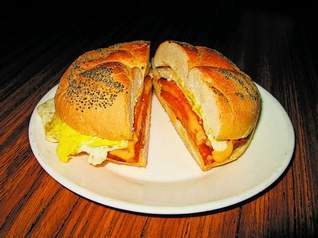 But they STILL have pork roll, egg and cheese! We moved to Ukraine in ’95 and were there as residents more or less consistently until recently. But we didn’t just live there; it became a part of us. When I first heard the silver ring of the bandura, and was told it was the “Ukrainian national instrument,” I just knew I had to learn to play it. (Later, after appearing on Ukrainian state radio as something of an oddity, I learned that very few Ukrainians have ever even held a bandura.) I have played and sung Ukrainian songs and seen roomfuls of Ukrainians of various generations weep. We stood in the cold “on Maidan” for every day of the Orange Revolution. Perhaps our closest friends in the world live there: in several cases, we had known people for years before we found out they spoke English, since we always spoke in their language. I’ve been told by representatives of a notoriously fatalistic generation of Ukrainians that “I never thought I could love my country, but I do now and I learned how to do it from you,” which, in some ways, may be the highest compliment I’ve ever received. There is definitely a process of culture stress experienced as one “goes deep” in a new context. For us it meant taking an entirely new view on things like “personal space” (Ukrainians don’t really seem to have that concept), functionality, productivity, balancing relationships and tasks, different approaches to spirituality. My first time in Kyiv, before I knew the language, I observed two men speaking loudly on the street, voices full of passion, gesturing expansively, in turns listening to and interrupting each other. I asked my interpreter what they were arguing about and was told with a smile, “They’re not arguing. They are agreeing.” There were aspects that we found really hard to get used to, and which many western ex-pats still find impossible. But there were many ways in which, way down deep, we became Ukrainian. Then, far outside our Master Plan, we find ourselves down here in Central Virginia, here in this chilly old grist mill. The culture stress continues, as we have never lived below the Mason-Dixon line. Had I never been to Europe and just moved here from Jersey, it’d STILL be a huge stretch. But with this partly Ukrainian spirit, it’s even stranger. I’m still learning how people view things, respond to things, think about things. Some is quite endearing from the get-go. Others, such as prevailing attitudes regarding race and the high level of what Rene Padilla calls “culture Christianity,” leaves us feeling dizzy at the end of some days. “But at least they speak the same language there…” Yeah, right. Fuggetaboudit. The diction of many locals, even those that have all their teeth, can be practically incomprehensible to me. We keep hearing of the War of Northern Aggression. We’ve been to the national historical park at Appomattox – it’s called the “Surrender Grounds” down here. Rebel flags still fly outside many homes. I saw a bumper sticker with a Confederate Battle Flag and the words “FIGHTING TERRORISM SINCE 1861.” My daughter’s been called a n*****-lover for “incorrectly” answering a question about “Who do you think should have won The War?” (They weren’t talking about WW2.) There is indeed a “rebel spirit” still; we’ll soon be celebrating the sesquicentennial of the end of a war that still isn’t entirely over. Even though the gears grind at times, we love it here. And we’re learning what it means to love it here. This is HOME for us. Which means roots go down. And we get confused. What are we doing here? God knows. He knows, because he’s the one who provided this place for us, who has led us into embracing his mission over the years. There’s a deep connection between home and mission. Many people still talk about “going into mission” in terms of “leaving home.” It’s always felt more to me like finding a new home. Because when we cannot be more “at home” than when we are pursuing our highest calling. We’ve just been offered some ideas about what “home” means that we’ve set aside as the years have rolled on. What are we doing here? The same thing we’ve been doing for years in Ukraine, though played in an entirely different key: being reflective practitioners of integral mission. While on the subject, remind me to write about how we cultivated a passion for some truly unexpected culinary specialties while living in Kyiv. Ням, ням!